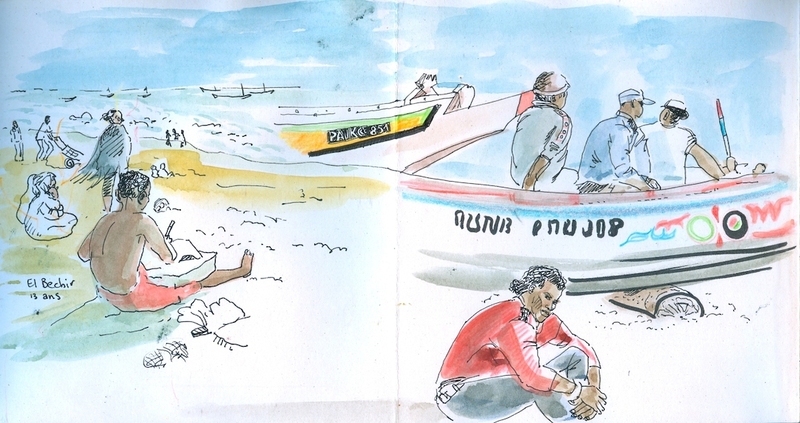 Suite a l'exposition de Carnets au Institute Français on à invité les Nouakchottois a venir dessiner au Port de Pêche Artisanale. Point de rencontre devant l'Institut Français à 16h00. great sketches and photos, congratulations Davis. No problems with cold weather over there! me encantaron todos los sketches y photos. Que grupo grande bravando el frio, bravo. great sketches and photos, really a pleasure to see them. beautiful sketches the place looks perfect for sketching in a rainy day. beautiful sketches, Kumi, love your style. Hi, I'll be travelling all the way from Mauritania, Sahara, for the Symposium and i'll be joining this sketchcrawl in Portland. Looking forward to it and to meet all fellow sketchers. great results Tokyo , the diversity is very enriching.